I swear I was going to post a photo of a tarantula at the top of this post- but I really couldn't do it to you all! 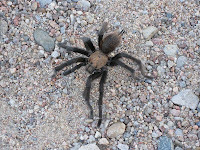 I don't even bat an eye when I have to deal with small spiders in the house.... but the big hairy guys freak me out! So the photo is near the bottom if you'd prefer to skip through it. "Almost all of our terrarium guests were, just that, short term visitors who would reside with us for a few weeks or months so that we could learn more about them and their habits. Eventually the horned toads, lizards, snakes and turtles got returned to the wild places from which they came. We did learn a healthy respect for wild creatures." 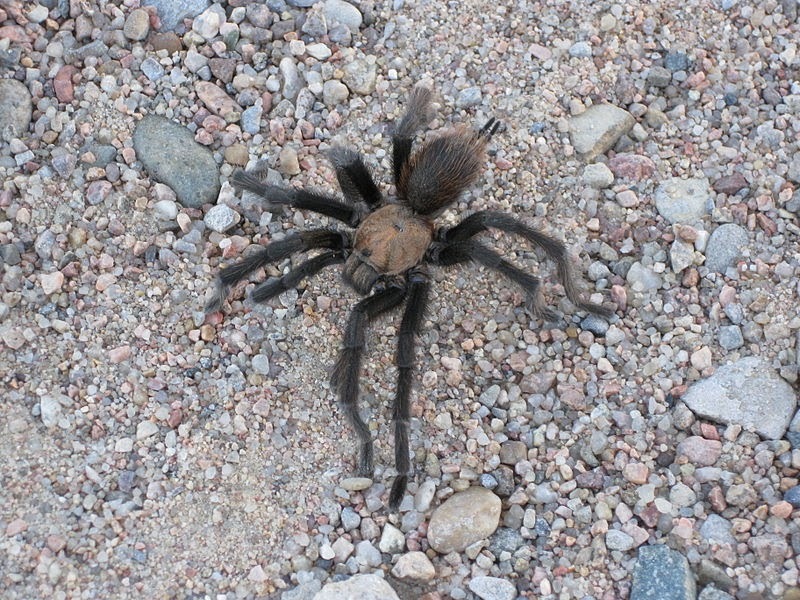 Oklahoma brown tarantula (Aphonopelma hentzi), Picket Wire Canyonlands, Colorado, U.S.A. From WikiCommons Media, by Zenhaus **This photo is for viewing purposes only, I do not advocate or condone keeping this species of spider in a terrarium. Thanks for sharing, Yaten! That is sound advice... I never thought about the web problem. Beautiful blog as well - I love the photos of your set ups. I'd love to see a post on potential terrarium residents. I've recently added a few pill bugs to one of my larger terrariums. I think they're cute and according to Wikipedia they eat decaying plant matter, so they are actually doing me a favor. Any other recommendations? I can say that an earthworm makes a great addition to a larger terrarium! But doesn't make a very lively resident for viewing.